This stunt team produce some jaw dropping displays! These guys made their debut at Glastonbury and have been infamous ever since! 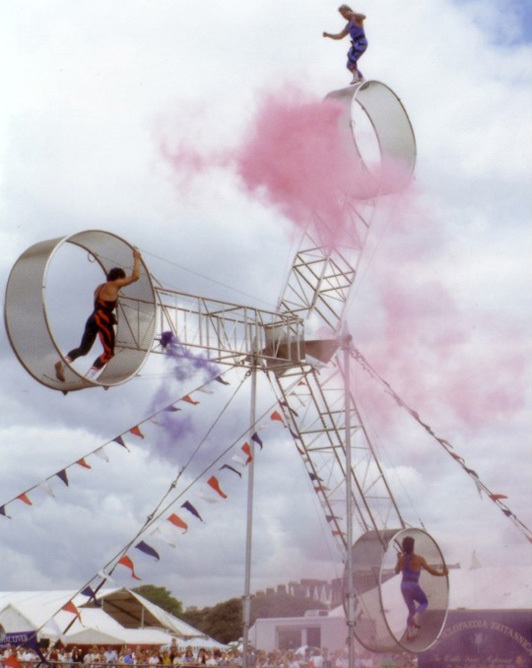 The dare devils ride in and on cages that rotate on a massive axis swinging them high into the air above your heads! An absolute show stopper and an event that is currently touring the world. If you want a spectacle at your Family Fun Day event.....this will do it!